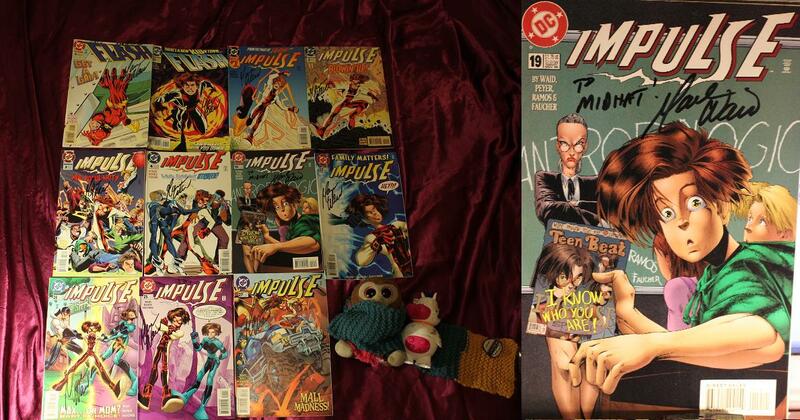 Impulses Signed sejak 'Ol Bart Creator Mark Waid. Manya Impulse signed, first two appearences, and even personalized :D. HD Wallpaper and background images in the Young Justice club tagged: young justice impulse bart allan bart allen mark waid thought bubble. This Young Justice photo contains anime, komik, manga, kartun, and buku komik.